Saskatchewan gets a lot of different kinds of weather and with that seems to come wind – way, way too much wind. I have often said that you can have a nice day or a windy day but not both. When life gives me lemons, I try to develop coping mechanisms. Over the years I tried a few. Wind seemed to work pretty well for kites but, much to my chagrin, I discovered it can be too windy even for that. Besides who needs a reminder it’s windy? We even moved from the fifth windiest city in Canada to the 21st windiest (accord to this site) though that may not have been the main driver. It’s hard to believe all our wind only gets us to 21st spot. I may demand a recount since it’s entirely possible I may complain more than that! Then again some days it’s so windy no one can hear me. My best coping mechanism usually consists of waiting for evening when the wind dies down in time for the golden hour and sunset. Not surprisingly, that’s my favourite time for photography. Wind also affects wildlife. I noticed birds have their own coping mechanisms which also come with varying degrees of success. Here’s three I noticed. This stance works a lot better if your legs aren’t the same length. It’s amazing how much trees can stop the wind. I always wanted to live in a forest. The best plan might be to just to fly away with wind … Unless of course you want to come back. 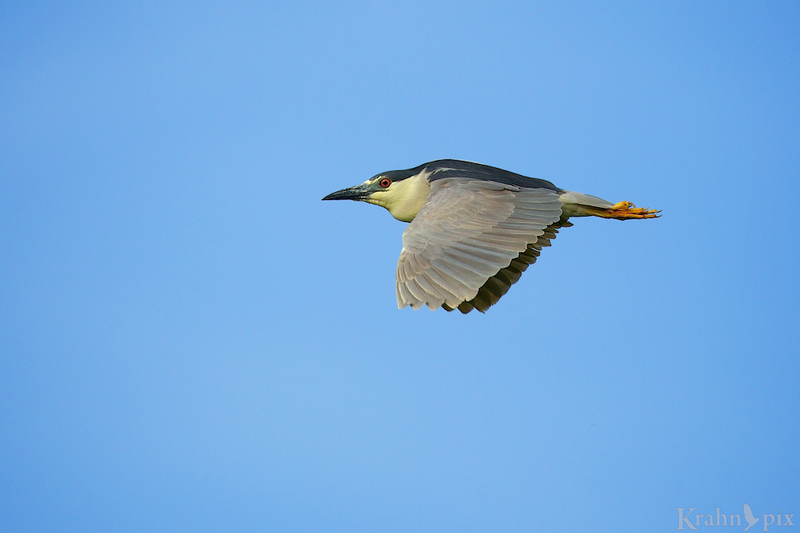 These are some of the best shots of a black-crowned night heron that I’ve ever seen. Beautiful work, Lyle, in spite of (and/or thanks to) the wind! Well thank you. It was nice to be able to salvage a windy day by getting some photos. The wind definitely affected their behaviour. I enjoyed watching some gulls in a coastal town here in Morocco. They did the I’m-flying-but-not-moving move, the I’m-just-going-to-let-the-wind-take-me-where-it-wants move and the trying-to-stand-steadily-on-a-rock move. I discovered that feathers don’t show the amount of wind as well as hair/fur does, feathers are much more reserved and elegant that way. Rookies are incredibly beautiful! Especially the first photo shows the different colours really well. I love it. That’s a good observation that feathers don’t show the wind like fur. I hadn’t thot of that specifically but given their function it makes sense. Glad you enjoyed these birds. A little colour tends it make everything look better. I grew up in a windy place and I played a lot of golf and I can feel your pain. I have a special hate for the wind. I am not a golfer but I can certainly understand how it could wreck havoc with your best laid plans. It’s hard to complain about nature with all the human related stuff to complain about. But if there is one thing that makes me want to stay home and work at the computer rather than go out and do some image making it’s the wind. Especially as I most often, in temperate weather, am shooting flowers. I’ve tried all kinds of things to protect my subjects from the wind and it just create more concentrated eddies. Woodland streams are a decent subject but I once had the wind blow a branch off a tree and onto my skull. Small branch fortunately. It appears I’m not the only one who is not a fan of the wind! Getting hit by a branch would only add to it. I seldom shoot flowers but I sure noticed the wind’s effects when I did. It’s also part of of the reason I sold my macro lens. Hunkering down is the only way to go. Hate the wind. Give me rain, sleet, snow, or slime over wind every day of the week. Wait…maybe not slime, but you get my point. Perhaps I need to learn from Bird Number 2. I’m a huge fan of hiding in the trees when I can find them to get out of the wind. Then again I’m not a huge fan of rain or sleet either – given where you live I suppose those would come to mind first. The slime was funny. I love these images. Your night heron is a beautiful bird, especially the one hanging on for dear life. I don’t envy you shooting in the wind though. I find it hard enough keeping a long lens steady without throwing in the wind to push me around more. Forests do help with wind when they have leaves. The way spring has been so far with snow yesterday, I am wondering if we will see leaves in May! I still get surprised how how much the wind can move the camera around even if it’s on a tripod. Hiding in the trees works remarkably well and I like to do that when they are available except that on the prairies there aren’t always trees. As for the leaves coming out, based on history I think it’s safe to say it will happen sometime. Cool shots of the night herons. Birds almost always know the proper way to deal with wind, while we often continue to struggle acting all flustered as if it’s the first time we were ever in wind. That’s exactly right – I think it’s because I don’t want to give into it and say it’s normal. The birds clearly know better. I’ve never heard the term bench cows – sounds amusing. I’m more than pleased to be compared to good company. I would not be at all surprised if hubby had made up the term. I do know about nasty winds here, too. I’ve seen a gull flipped trying to fly in some of our nastier gusts on the coast. I’m sure the gull was not impressed! Those are tough conditions for the photographer and the birds, but you managed to get some beautiful shots anyway. Here’s hoping to some calm days in your future! I think it’s mostly mentally tough for me to deal with the wind! The birds on the other hand have real issues. It doesn’t look like it but it was so windy they had a hard time flying into it. Thanks for the calm wish – I hope the same for you!